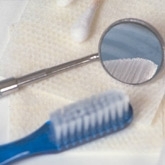 DentalPlans.com offers you an easy, convenient way to save money on General Dentistry and more at a Kansas City dentist. Just type in your ZIP code now to compare the discount dental plans in Kansas City and view a list of participating dentists. Sign up for the plan that is right for you and benefit from discounts from 10% to 60% on most dental care services performed by dentists such as Dr. Paula S Livingston. Then, just go see Dr. Paula S Livingston or any other participating dentist in Kansas City, MO to save money on General Dentistry and more. The 30+ plans featured on DentalPlans.com are dental insurance alternatives that will offer you discounts on General Dentistry and other dental care services. We make it easy for you to search many general dentists, family dentists and dental care specialists like prosthodontists, endodontists, and pedodontists. So if you are looking to save money on braces or cosmetic dentistry treatments like teeth whitening, bonding, and veneers, our comprehensive dentist directory is an ideal place to find affordable dental care specialists and dentists in Kansas City, MO.